The movie was stalled in Pakistan but the people finally came out on streets yesterday in the hope to make the movie see the light of the day. 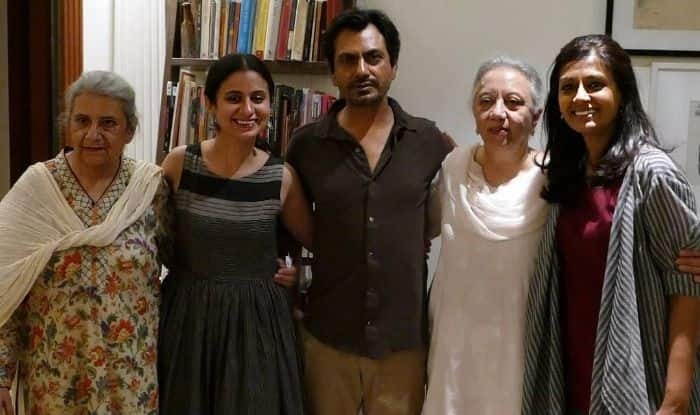 Even though actor Nawazuddin Siddiqui and filmmaker Nandita Das have been awarded at the 12th Asia Pacific Screen Awards (APSA) for their movie Manto, based on the life of the late Urdu writer Saadat Hasan Manto and Nawazuddin was even awarded the Best Performance By An Actor for it, the movie was stalled in Pakistan but the people finally came out on streets yesterday in the hope to make the movie see the light of the day. As writers, activists and journalists in Pakistan held a nationwide protest on Monday, against a ban on Nandita Das’ Manto, the filmmaker couldn’t help but tweet her appreciation and heartfelt gratitude for the people coming out in her support across the border. An online petition on change.org had initially been started by Saeed Ahmed, a journalist and playwright, a key consultant for Manto, urging the Imran Khan government to allow the film’s release. Following that, the peaceful protests were held in Lahore, Karachi, Peshawar and Multan, in collaboration with the Manto Memorial Society.